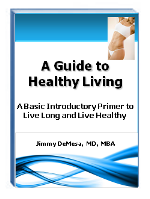 As described in my ebook, A Guide to Healthy Living, the nutrition and health information we have all been led to believe over the past several decades may be wrong. Even many of the things I was taught in medical school many years ago are now being reconsidered. Yes, believe it or not, these concepts, which many of us have taken as facts, are now being questioned - with many being scientifically shown to be incorrect. Sadly, we are continually bombarded by information to the contrary, including by the large pharmaceutical companies who sell billions of dollars of drugs every year to lower cholesterol, manage diabetes, and lower blood pressure. The Paleo "Nutrition Plan" or Paleo "Philosophy" appears to be a very healthy eating plan and is becoming increasingly popular throughout the world. 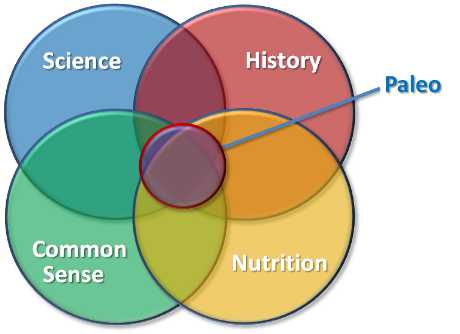 The Paleo Nutrition Plan is based upon a "whole" food concept that mimics the food groups of our pre-agricultural, hunter-gatherer ancestors. It is based on sound science and the historical hunter-gatherer nutrition which focuses on real, non-processed foods which are low in grains, sugars and starchy carbohydrates. The fundamental characteristics of this hunter-gatherer diet can help to optimize your health, minimize your risk of chronic disease, and lose weight. Like most things in life, there is no "yes" or "no" answer to this question. Everyone is different, and generally speaking, when it comes to diet, nutrition, and exercise, no one strategy should be practiced. Ideally we should take the best concepts from all strategies and create a personal health plan. As stated above, it is becoming increasingly agreed that INFLAMMATION in the body is the cause of many diseases which are so prevalent today. Disease like obesity, cancer, diabetes, heart disease, Alzheimer's disease, auto-immune diseases, and even depression and autism - all possibly have inflammation as the underlying cause. 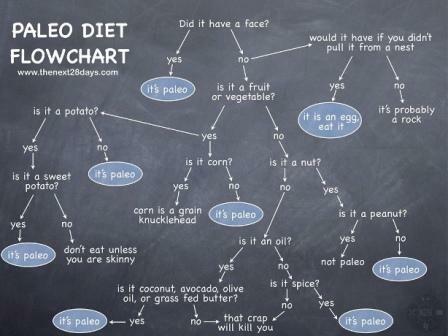 From this perspective, it seems like the Paleo concept (along with other strategies) has merit. Wheat, rice, corn, pasta, cereal, and derivative products such as bread, chips, crackers, muffins, pancakes, tortillas, waffles, etc. 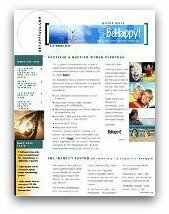 It seems contrary to logic (and also to what science has "taught" us over the past several decades), but there is increasing evidence that grains (even whole grains), legumes (such as beans), and other processed carbohydrates cause blood glucose (i.e., sugar) levels to spike (carbs get converted into glucose once they enter the body) - which creates inflammation in the body. In response to this "sugar spike", our body compensates by secreting excessive levels of insulin. Even whole grains (brown rice, whole wheat bread, etc.) are not particularly healthy, because they still trigger excessive insulin production, contain anti-nutrients that promote inflammation and hamper digestion and immune function (even though they have more nutritional value than refined “white” grain products).